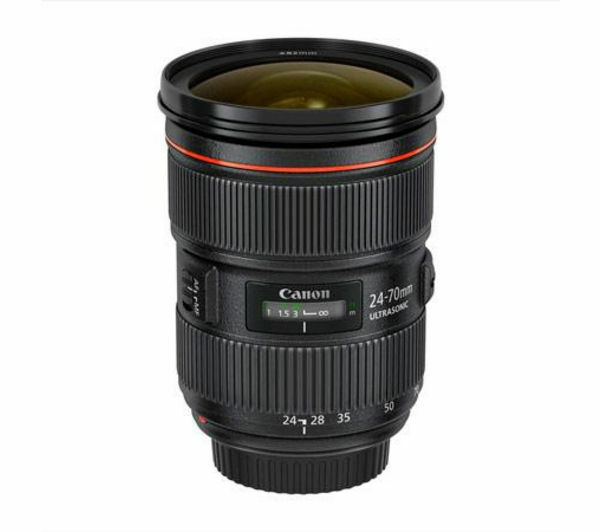 The Canon EF 24-70 mm f2.8L II USM Standard Zoom Lens has a next-generation optical build with aspherical lens elements, ultra-low dispersion and UD glass, all designed to deliver superior image sharpness. 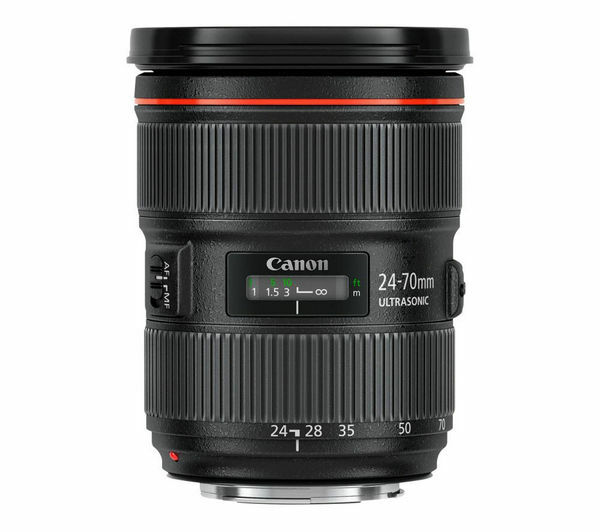 Enhance your shooting power with an adaptable 24-70 mm zoom range, ideal for capturing stunning shots of landscapes, portraits and everything in between. Thanks to the fast f/2.8 maximum aperture you are able to take hand-held shots in low-light conditions, opening new windows in your photography. 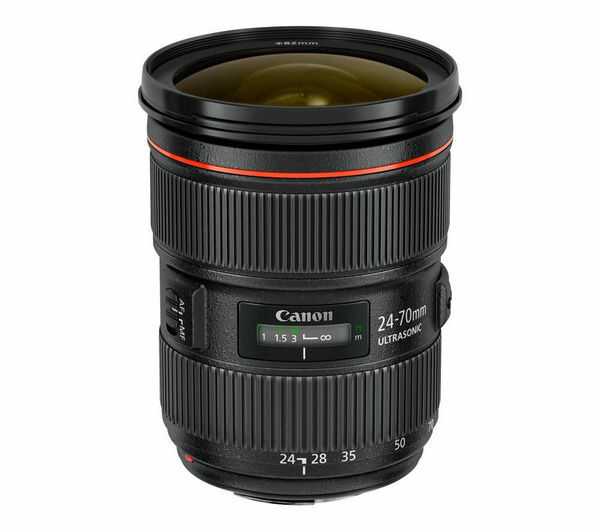 The Canon EF lens has a robust construction that's designed to take on daily professional use. The lens is weather-sealed to shield against everyday dust and moisture. The fluorine-coated front and rear elements make the zoom lens easy to maintain. The ring-type ultrasonic AF motor with full-time manual override achieves accurate focusing quickly and quietly without compromising on that rare photo opportunity. Shoot moments with beautiful background blur and capture professional-standard portraits with the Canon EF 24-70 mm f2.8L II USM Standard Zoom Lens, the perfect companion for any full-frame EOS camera.